Danfos (commercial minibuses) in Lagos. 2011. October is Naija lit month - my way of celebrating our month of Independence - and this year I'm going to get a little personal with my posts, which will be inspired by some aspects of my Nigerian identity - like where I was born. Last year one of my posts paid homage to the city where I was born and raised. And for my first celebratory post I would like to showcase more works from Lagos. In the last post, I focused only on books on Lagos that I owned, but now I want to go beyond my library and look more broadly at what is out there - as long as they spend all or at least a substantial amount of time in Lagos. I also wanted to look at books that have been published in the last couple of years. So here are 5 recent books and be it the slums, a futuristic version of the city or an alien invasion, they all have one thing in common - they bring us Lagos. Through them we learn about Bar Beach, the 'joys' of go-slow and being a returnee in cosmopolitan Lagos. As always, this isn't an extensive list, but more of a glimpse at what is out there. 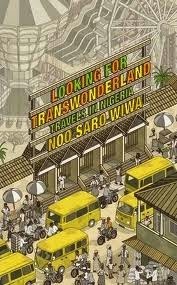 And after travelling all over Nigeria, it also ends in Lagos, with Saro-Wiwa now 'inured to Lagos's incomprehensibilities and chaos'. As teenagers in a Lagos secondary school, Ifemelu and Obinze fall in love. Nigeria is under military dictatorship and people are leaving the country if they can. Ifemelu departs to America to study. She suffers defeats and triumphs, finds and loses relationships and friends, all the while feeling the weight of something she never thought back home: race. Obinze had hoped to join her, but post-9/11 America will not let him in, and he plunges into a dangerous, undocumented life in London. 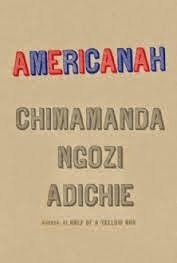 Years later, Obinze is a wealthy man in a newly democratic Nigeria, while Ifemelu has achieved success as a writer of an eye-opening blog about race in America. But when Ifemelu returns to Lagos, and she and Obinze reignite their shared passion - for their homeland and each other - they will face the toughest decision of their lives. What will it be like to live in Lagos 100 years after Nigeria gained independence from the British? 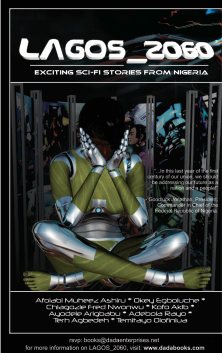 In 2010, eight writers came together to contribute stories to an anthology on fictional/futuristic takes on the city of Lagos via a workshop tagged LAGOS_2060, conceived to commemorate Nigeria's golden jubilee. The anthology that grew out of the workshop is telling in the different versions of the future it foretells. In LAGOS_2060 - there are climate change induced natural disasters actively plugged by doomsday preachers of the day, there are serious government institutions involved in first rate science and more often than not, these institutions tackle and solve the energy crisis to various degrees of success. There are wars and near wars as Lagos threatens to secede from the Nigerian state to have full control of its own economy. 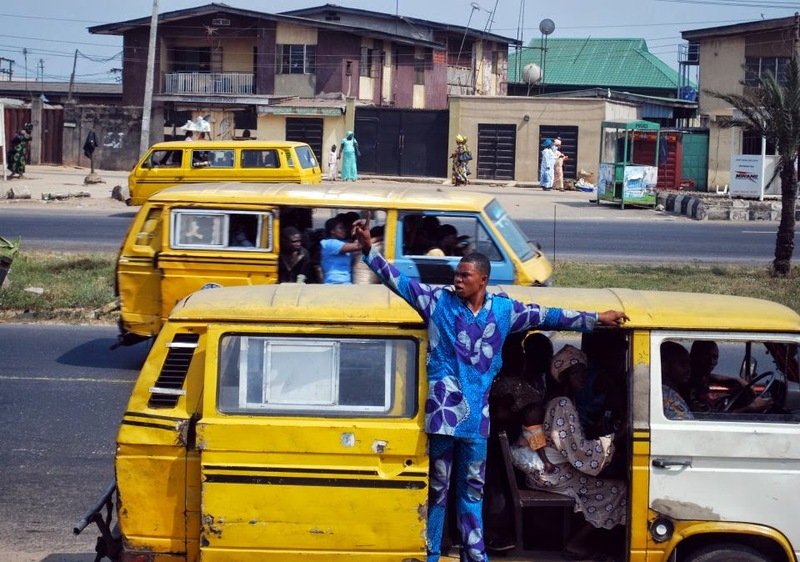 There are robots, amphibious speed trains, psychedelic drugs and highly trained security operatives with conflicts of interest, but more importantly, there are ubiquitous Lagos people, whose industry and inventiveness seems largely unchanged, despite how much has travailed in the intervening half century. 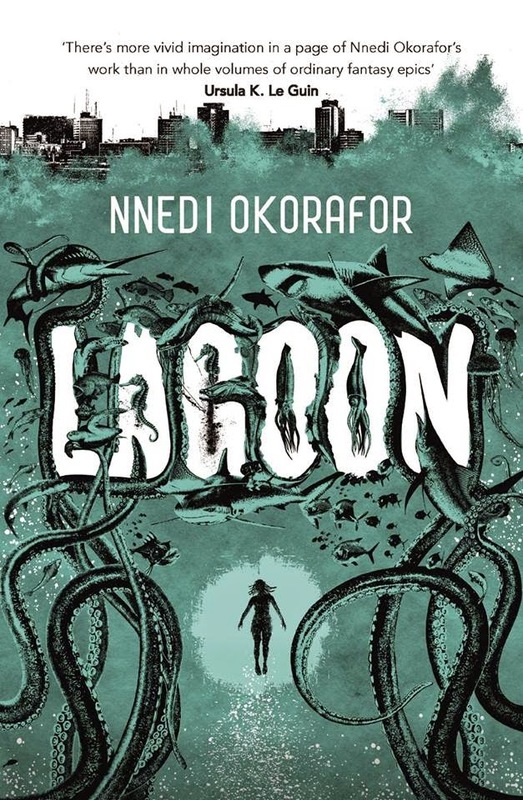 In Lagoon, three strangers meet on Bar Beach in Lagos - a marine biologist with a tumultuous marriage, a rap star trying to find quiet and a soldier desperate to contact his family. Each is there searching for solace, each with her or his distinct, complicated life. But this evening the sea is uneasy and the strangers find themselves bound together when a spaceship crashes off the coast of Lagos. This strange encounter changes each of them unequivocally, and sets them on a path to save the city. In 1987 Detroit, twenty-one year old Angie passes time working in a mall and watching sitcoms with her mom. But beneath the surface, she is consumed by thoughts of her sister's death years earlier in Nigeria. Ella had introduced Angie to Black Power and a vision of returning to Africa. On impulse, Angie travels to Lagos and begins to retrace Ella's steps. Against a backdrop of the city's infamous go-slow - traffic as wild and unpredictable as a Fela lyric - she uncovers some harsh truths. For anyone who has wished to be of a different era, this book captures the pain of living vicariously and the exhilaration of finding yourself.